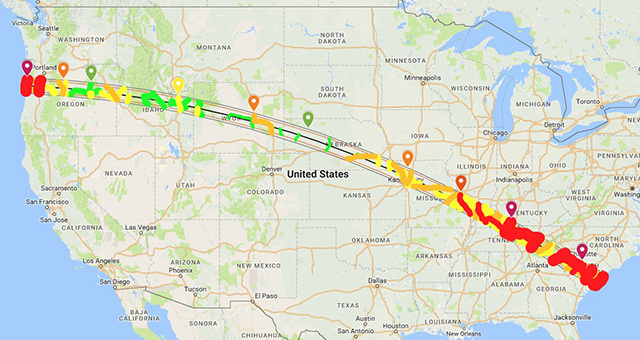 On Facebook Kate Russo pointed out this Google map showing expected traffic density for the August 21, 2017 total solar eclipse in North America. The embedded version no longer works; follow the linked map below for the latest. I have a more comprehensive list of eclipse resources and a custom search engine for the eclipse.